August 2, 2017 - For the first time, scientists filmed a pod of orcas in a coordinated attack against a bowhead whale. 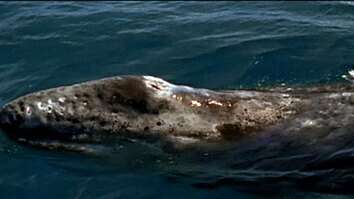 Because the juvenile bowhead is up to three times heavier than the orcas, the predators work as a team to take it down. The pod leader rams the whale's side, crushing its ribs. 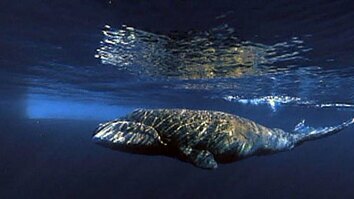 Juveniles swim near the whale's head to block off escape routes. Other adults pull the whale's fins to drag it into deeper water. Already known in the area for hunting bowheads, this particular orca pod has perfected their technique to require minimal energy. Click here to read Orcas Team Up to Kill Whale in Raw, First-Ever Video.